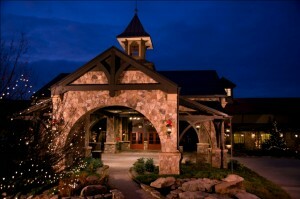 The Legacy Lodge at Lake Lanier Islands Resort is a must-see for renovation inspiration! Outrageous Interiors: Nothing sets off a beautifully crafted renovation by Highlight Homes like a great décor plan. With 24 years in the interior design industry to their credit, the associates at Outrageous Interiors can help you transform a relatively blank canvas of a room into something that is worthy of a four-page spread in a home décor magazine. From furniture and accessories to lighting and linens, Outrageous Interiors has the “look” you may be looking for. In addition to four Atlanta locations and a convenient online store, Outrageous Interiors also offers in-home design services. There’s plenty of time left to turn your home into a showplace in time for the holidays! Magical Nights of Lights at Lake Lanier Islands Resort: If you really want to get into the holiday spirit and find inspiration to start stringing holiday lights at your own home, you should make for the lake to enjoy the Islands’ renowned Magical Nights of Lights. On November 16, the lakeside resort will flip the switch on their 20th year of delighting guests with mile after mile of animated holiday light displays. Be sure to pop by the Legacy Lodge and pay attention to the gorgeous water features and beautifully crafted stone and timber entry – they might motivate you to incorporate a little of that classic “Great Camp” style on your home’s exterior (a look we love.) If that’s the case, we encourage you to call Highlight Homes to make it happen. Oh, and before you go, stop off at the Holiday Village to visit Santa, roast marshmallows, and hop aboard some good old-fashioned carnival rides. BrandMortgage: A Georgia-based full-service lender that has not only survived but thrived throughout the Great Recession, what makes BrandMortgage one of our favorite things is its people. These honest hardworking folks are big believers in the American Dream who will do everything in their power to help you obtain the right loan to finance a one-of-a-kind home renovation or stunning custom construction home by Highlight Homes. Check out their website for a branch location near you. This time last year, we were proud to have been named a BrandMortgage Repair and Renovation Partner. Click here to read the press release. Great Lighting: An often overlooked “ingredient” in any successful home renovation is the incorporation of proper lighting – both decorative and functional. If properly chosen, lighting can also serve a dual purpose: illumination and decoration. Not only will well-planned lighting give your home’s interior a brightly lit boost, but it can also serve to showcase your home’s exterior beautifully through lighted walkways, uplighting around trees, and spotlights to highlight key areas of the home. Check back every month for a new edition of Shades & Highlights from Highlight Homes!